Hi, it's Courtney Lee here from Court's Crafts. I just want to take a minute to say that we SOOOO appreciate it when you all leave comments for our projects! I stop back by here to see the comments that you have left for me and it is so incredibly encouraging! THANK YOU! Okay, back to our scheduled programming. ;) The Graduates... This line is so much fun! As you will see from my DTmates' projects, this line was built so that you could add your school colors and it would still look fabulous! Since I didn't know who this card was intended for I kept it neutral. Do you see that sparkle!?! Also, please notice how cleanly the sprinkles card stock cuts... gorgeous, right!?! Is that a pixie?!? Yes, yes it is. Texture - I love adding texture right now. I cut it down to size. And those gold sequins.. mmmmm... scrumptious. Wow! I would love to make one of these cards! It would be a nice surprise for any grad! TOTALLY AWESOME pop-up card Courtney - LOVE IT!!! 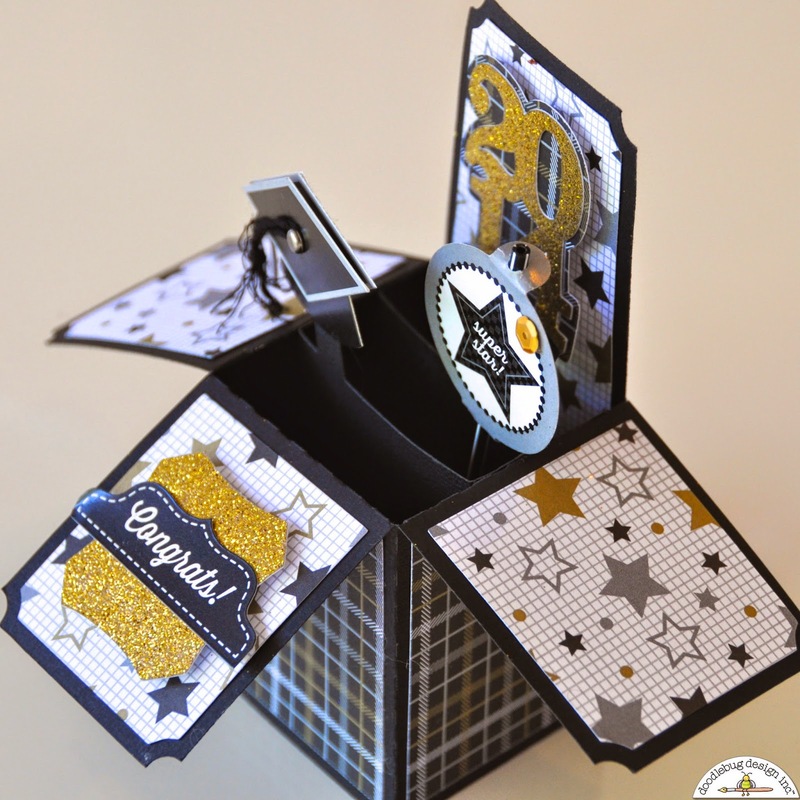 Such a COOL card to create and I LOVE it all the more because you have used both sides of my favourite paper from this collection "Reach For The Stars" and WOW, the Sprinkles cardstock makes it all POP!!! I confess that I have had one of these cards on the go for a few weeks now, the plan was to finish it for Mum for Mother's Day but I don't think that will be happening. I cut the base & panels out using dimensions I found online and all that is great but I'm completely blocked on how to decorate it inside => think I will have to make some flowers & butterflies and JUST DO IT. I love this pop-up card. I would love to make one of this someday. I pinned this (http://www.pinterest.com/pin/293578469432554171/). Love this!!! & with 2 graduates this year- perfect for decorations! Thanks for the great project - grandson is graduating high school later this month and I just used up all of my graduation on his 8th grade graduation (yes, that's how far behind i am, LOL). This looks perfect! This is gorgeous! It is such a pleasure to see the designs from such a great group! It is so versatile and beautiful! Sorry I just can't say enough good things! I love these cards in a box. This one is great. Any graduate will be thrilled to get it (with a gift card inclosed). This is so fun Courtney!!! Love the sparkly touches!! 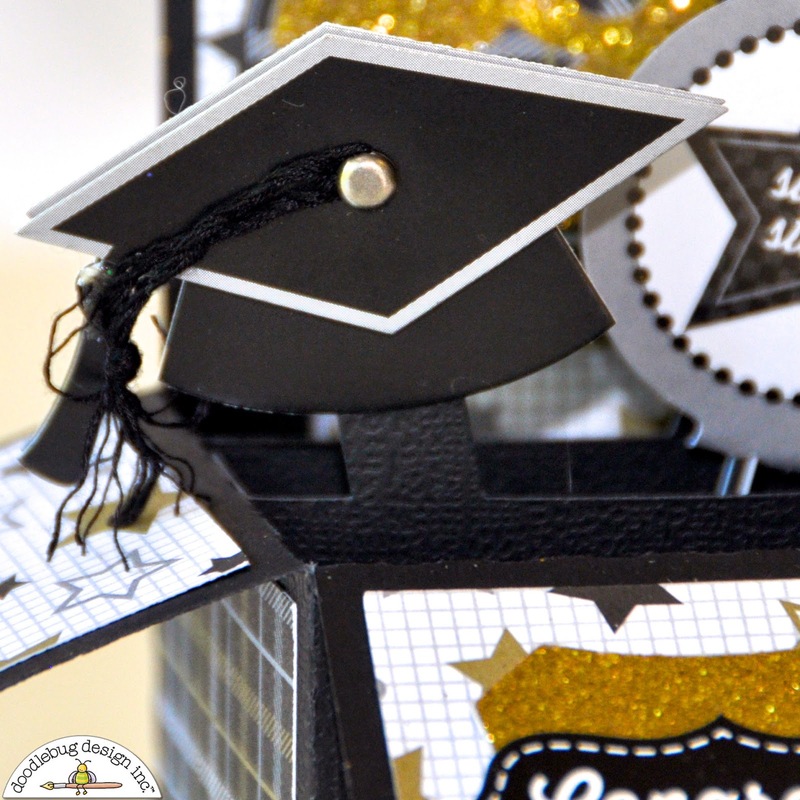 Gorgeous graduation card, love these papers, just so elegant. Thanks for the inspiration! What a spectacular pop up box card! Outstanding!!! 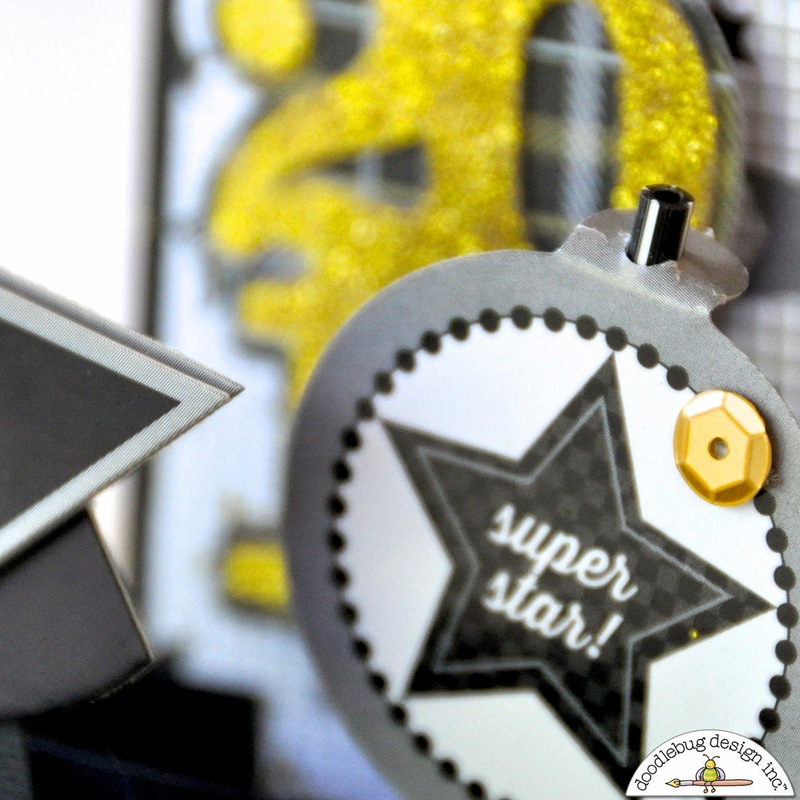 I pinned a close-up pic of Courtney's card, she has used both sides of my favourite paper from this collection "Reach For The Stars" and WOW, the gold Sprinkles cardstock makes it all POP!!! 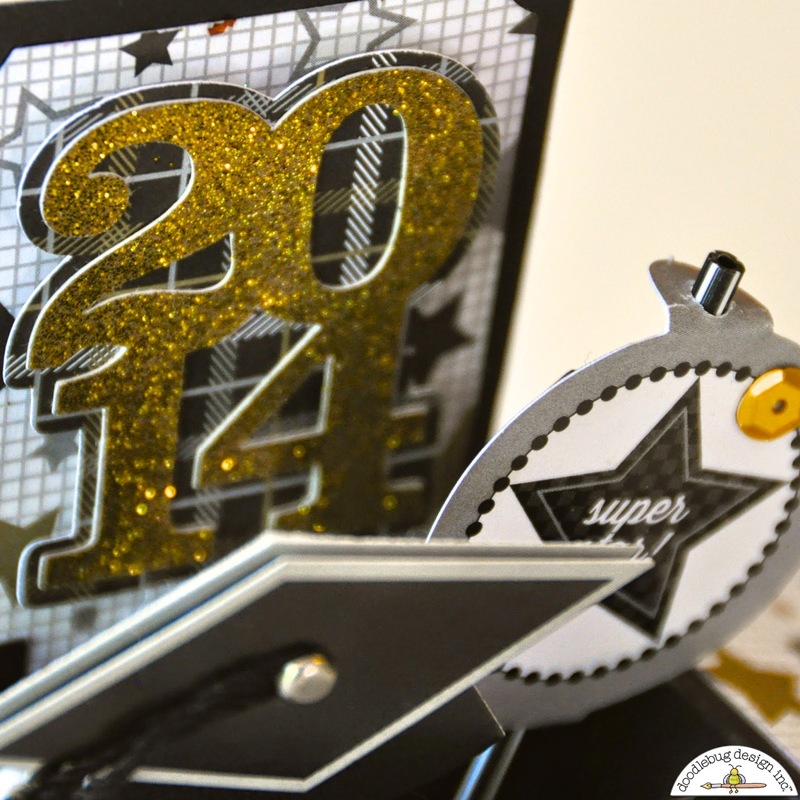 I pinned two separate images of this card (showing it from different angles) to my "Cards & Wrapping" board. I love Court's work - also so adorable and inspirational! 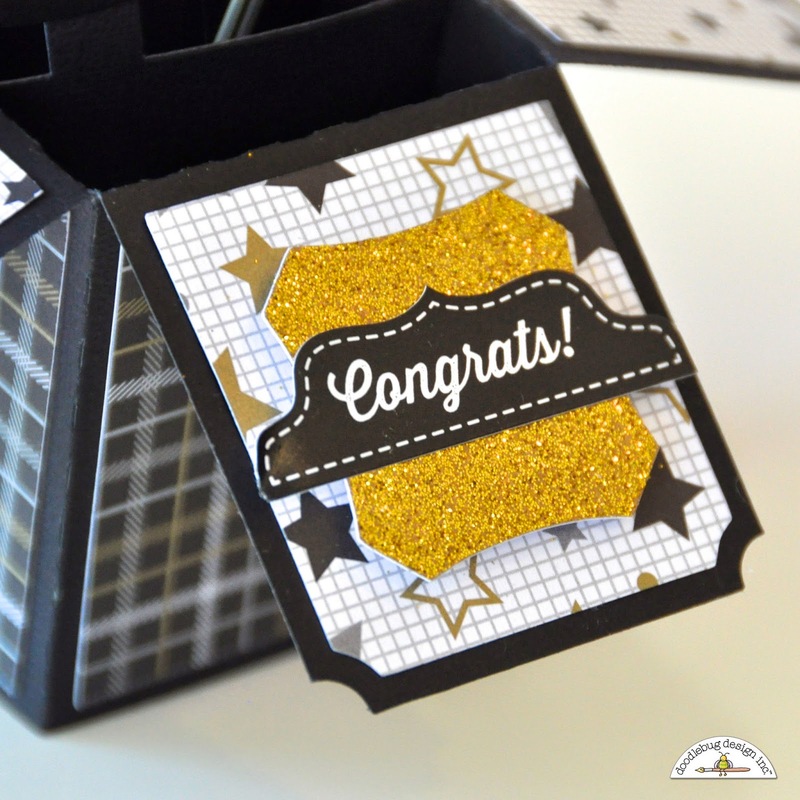 I pinned this awesome pop up box card to my Pinterest! 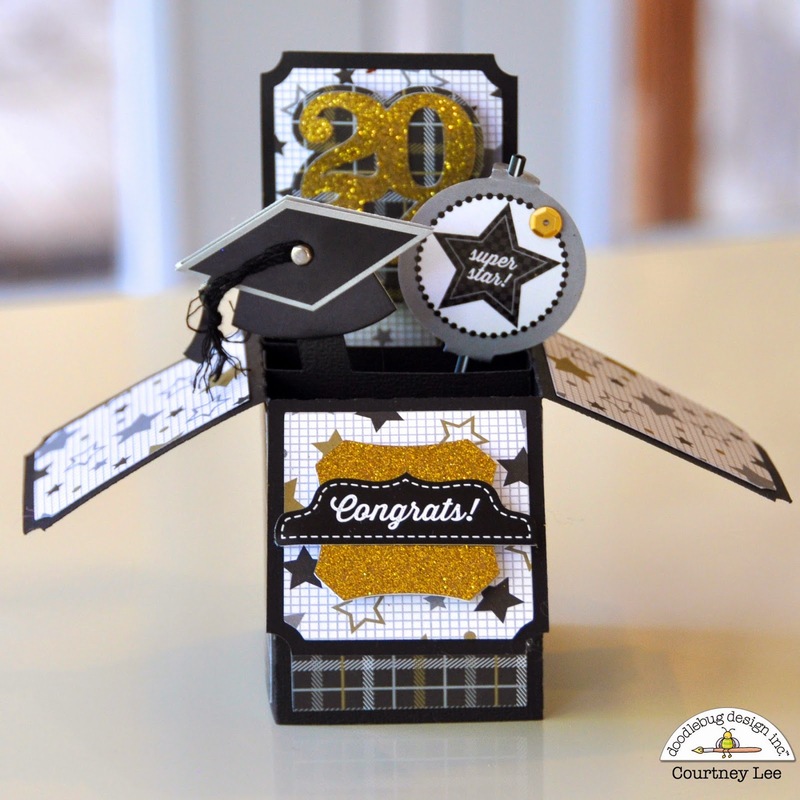 I pinned this super cute popup card!! I shared this super cut pop up card on my Facebook page! just perfect, thanks for the inspiration! This is such a great project! Love all the papers and that doodle pop is so cute, but no longer available. Pinned this so I can try to recreate it!!! Awesome card! Love the glitter!